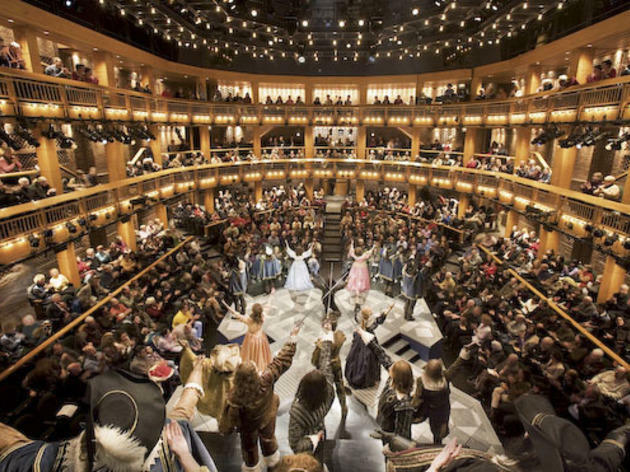 Chicago Shakespeare Theater artistic director Barbara Gaines will revisit King Lear and direct a new musical adaptation of Jane Austen's Sense and Sensibility in the coming season. They're two of four major productions the theater announced today to take place in its mainstage Courtyard Theater in 2014–15. Larry Yando will play the title role in King Lear (September 9–November 9); Chicago Shakes last staged Lear in 2001, with Greg Vinkler. Next, David H. Bell will helm a staging of Pericles starring Ben Carlson (November 30–January 18). The World's Stage series will then host Dunsinane, a sequel to Macbeth penned by David Greig (The Strange Undoing of Prudencia Hart) that's co-produced by the National Theatre of Scotland and Royal Shakespeare Company and directed by Roxana Silbert (February 26–March 22). Finally, Gaines directs Sense and Sensibility (April 18–June 7), with book, music and lyrics by Paul Gordon, who's previously made musicals of Austen's Emma and Charlotte Brontë's Jane Eyre. 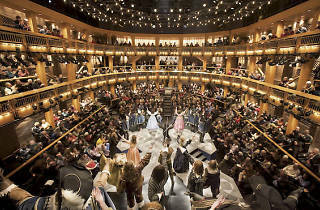 The theater also announced that it will host the Shakespeare's Globe touring production of Hamlet for a three-day World's Stage stand this summer (July 28–30), as well as three productions for children and families: a new production of Seussical, directed by Scott Weinstein (July 5–August 17); a Shakespeare in the Parks tour of A Midsummer Night's Dream, directed by Bell (dates in July and August); and a Short Shakespeare! Macbeth, adapted and directed by Kirsten Kelly (January 15–February 14 in the Courtyard Theater and touring thereafter). Programming for the Upstairs Theater and additional World's Stage presentations remain to be announced.